from Neil Gaiman's blog... see the last paragraph. So far I've been extremely disappointed by Meteorite Men: I keep waiting for them to find a Peculiar Glowing Meteorite that will turn Geoffrey into an enormous lumpy Kirbyish monster and then the other Meteorite Man will have to battle him until the effects wear off. It still hasn't happened. On the other hand, it's got lots of cool meteorite hunting in it, and it's really fun TV. Also, there's still most of the season to go for them to find a proper glowing meteorite that will transform Geoffrey into Nott-Kin: The Thing That Shambles like a Man. So I will keep watching. As a tiny side-note from the past: Geoff and I went to the Adverts gig advertised at the bottom of the poster, and I've been a fan of T.V. Smith's ever since (and am currently reading his travel diaries, How To Feel Human). He's only one of the greatest writers on the planet. I wonder if fellow graphic novel fan Chris has read this! This is the news that I found the most fantastic returning to the site. Could Neil Gaiman be the key to helping Jamie and Andy release the Uncharted Wrecks of Wonder documentary? He must have loads of useful contacts. For those that don't know Neil is about as big as you can get in the comics and graphic novel world. He's also an award winning author. "And I know that dreams come true. ...Later, later." Did you let Chris know about thsi exciting news Alan? I wonder if Neil will write TV into one of his stories like I've done in my novel? Have you ever had one of those posts where you think something really exciting has happened but no-one else seems to want to join in, so you talk to yourself about it? If Neil can help get the Uncharted Wrecks of Wonder film that would be great. I keep watching the trailer over & over again. That film needs to be out there! 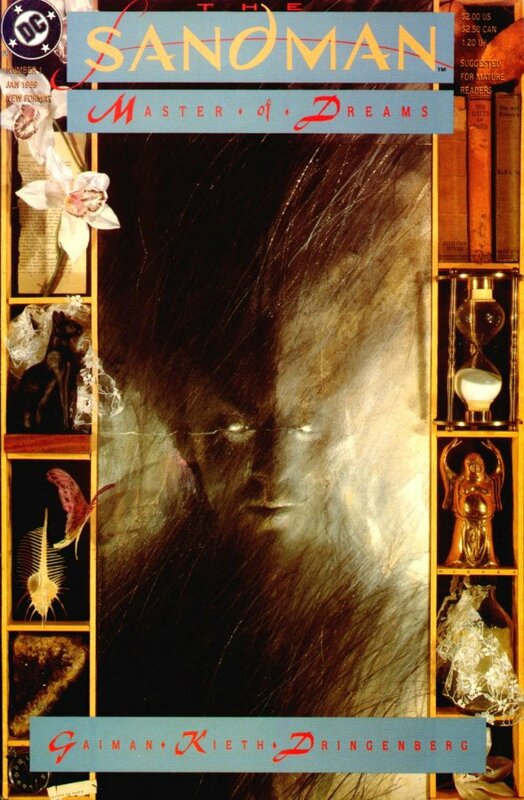 Is Sandman the same character that used to feature in the DC comics way back? I used to read them when I was a kid. Not read many graphic novels lately though. Your totally right. The TV documemntray should be out there! Let's hope Neil can help. It's not the same Sandman, Nick. This Sandman is MASSIVE! Fantastic work by Jamie, TV & friends and the BBC. I wonder if Neil can help. Well Neil and his contacts and his 1.7 million TVitter followers. So cool to hear Tom Robinson talking for so long with Neil Gaiman about their love of all things TV Smith on the Tom Robinson radio Smith show. When, where? BBC Iplayer available or anything? Sorry, didn't get around to putting this up earlier - just two days left to listen.